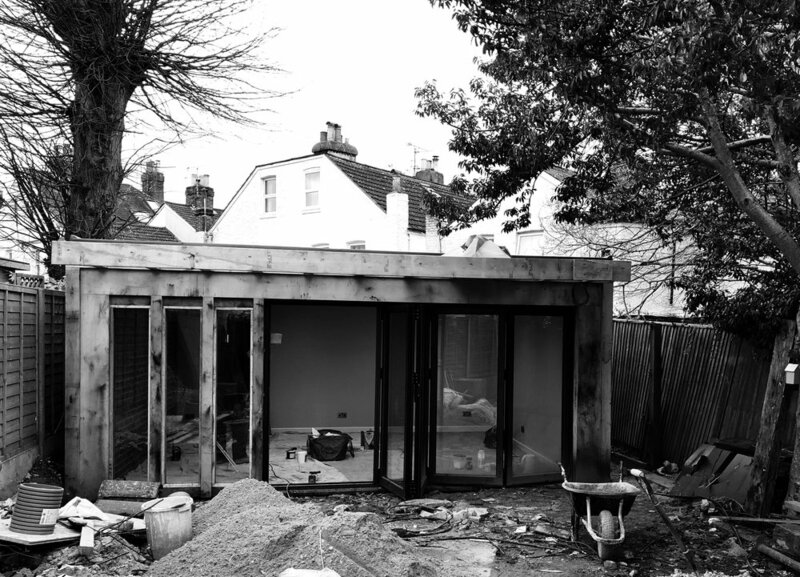 The Garden Room in Tunbridge Wells is beginning to take shape with the second fix well underway and completion due in 4 weeks. The space we have created forms ancillary living space and somewhere to get away from the chaos of family life. The 5m X 5m retreat is all achieved under the host properties Permitted Development Rights and with simple construction techniques provides an affordable alternative to the traditional extension or the ‘off the shelf’ eco pod. The finish includes a combination of natural oak, exposed brickwork, grey aluminium bi-folding doors and crisp white paintwork specifically detailed to create a Garden Room with a difference. If you are interested in creating some extra living space feel free to contact us and see what you can achieve utilising your Permitted Development Rights.